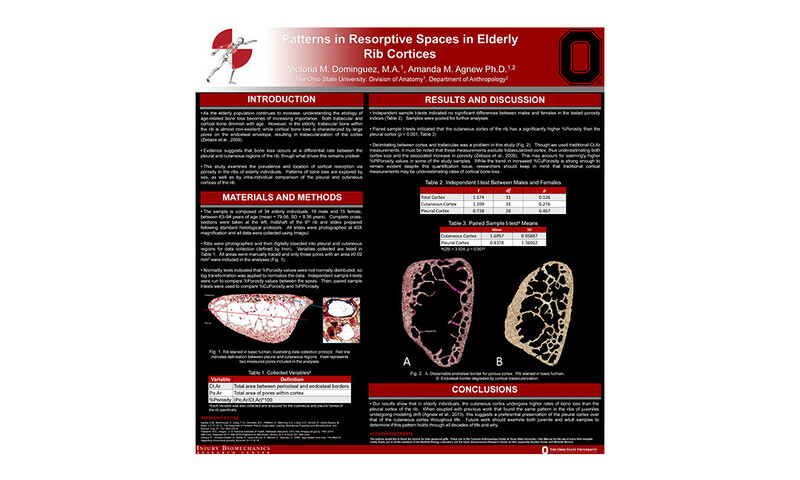 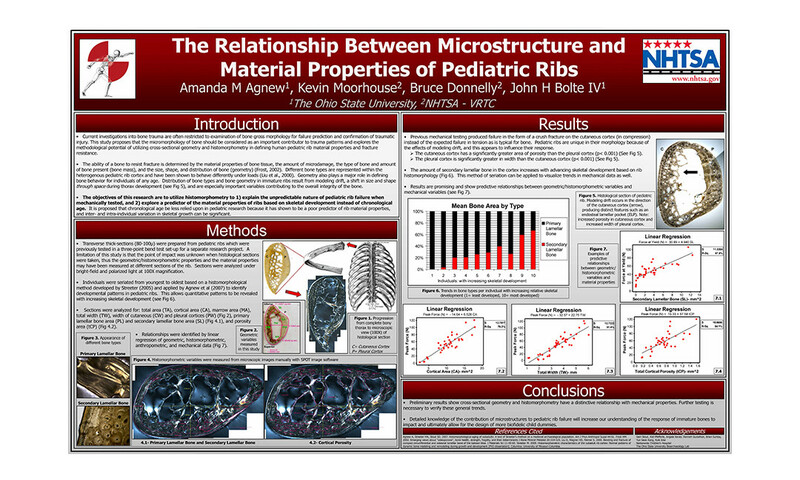 The Skeletal Biology Research Lab (SBRL), under the direction of Dr. Amanda Agnew, investigates the human skeleton using a multidisciplinary approach. 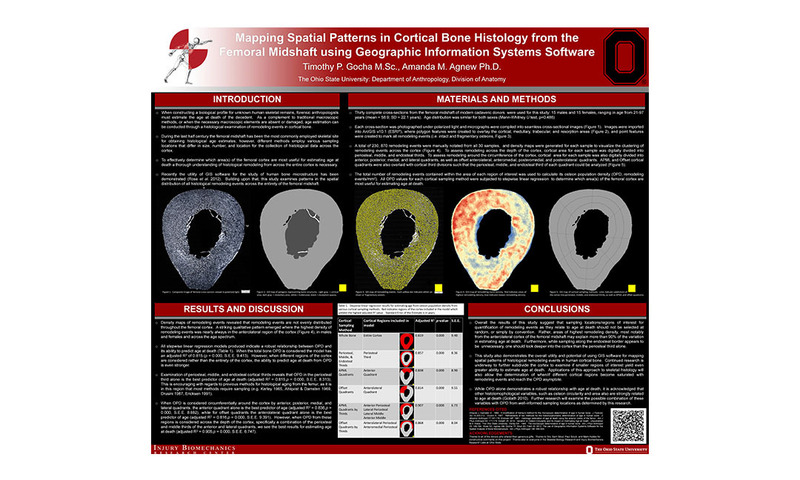 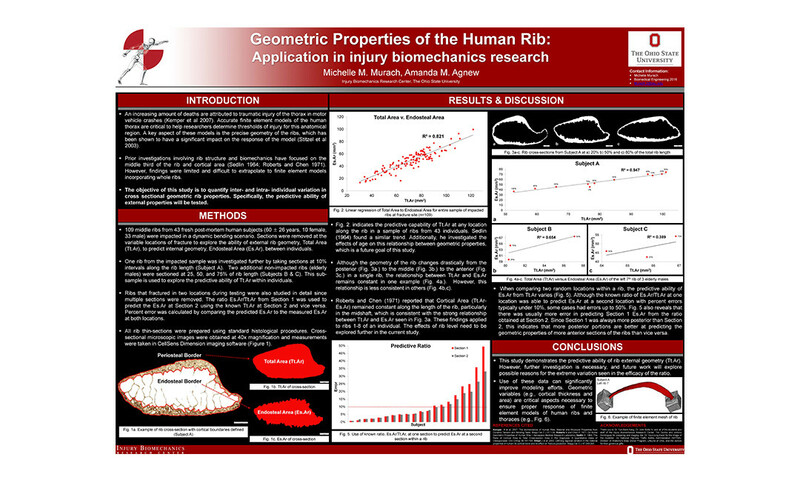 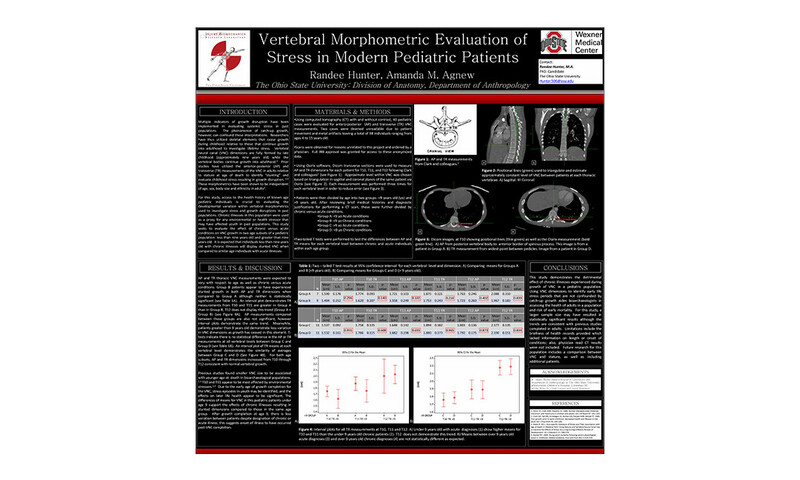 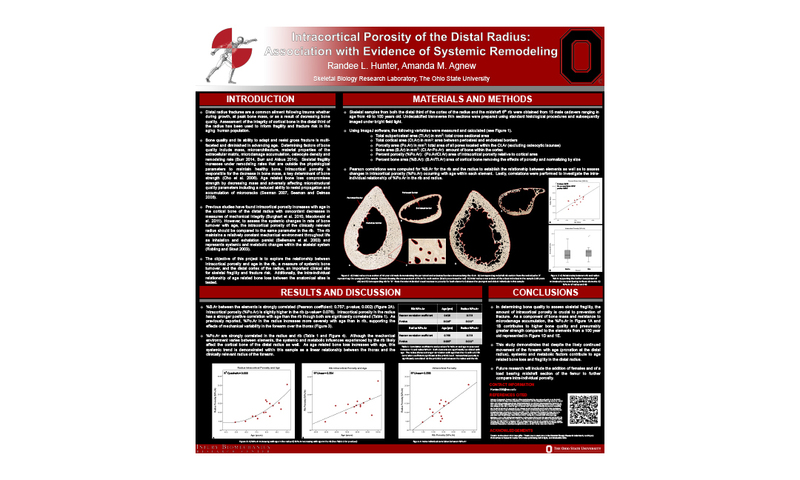 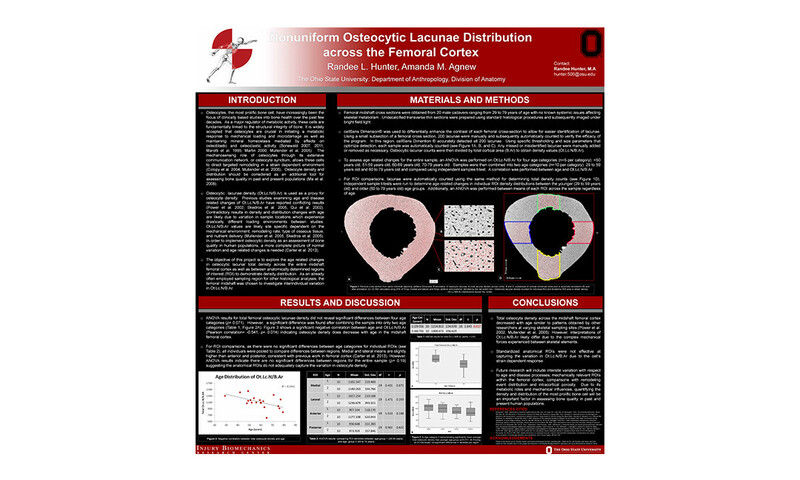 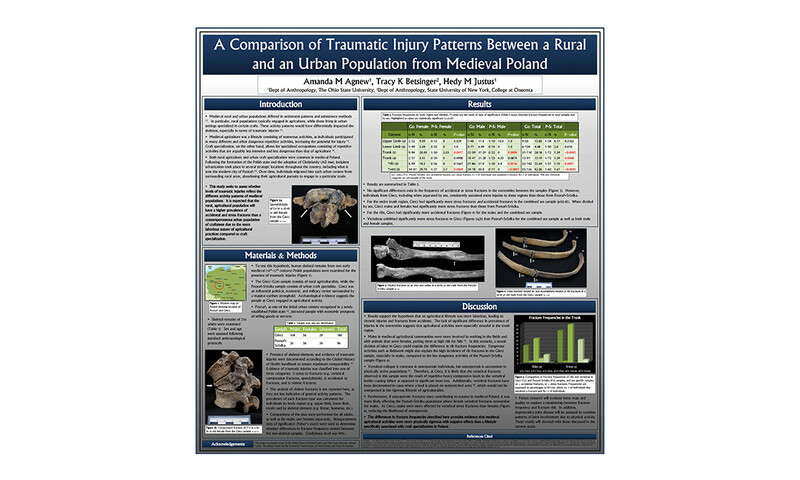 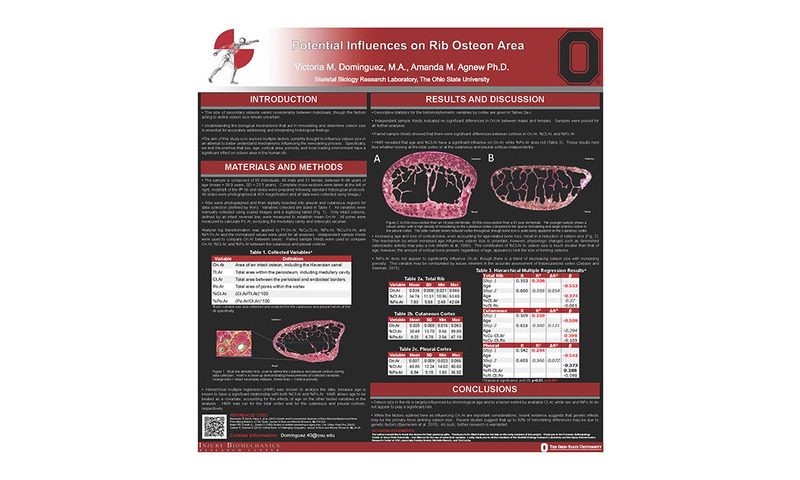 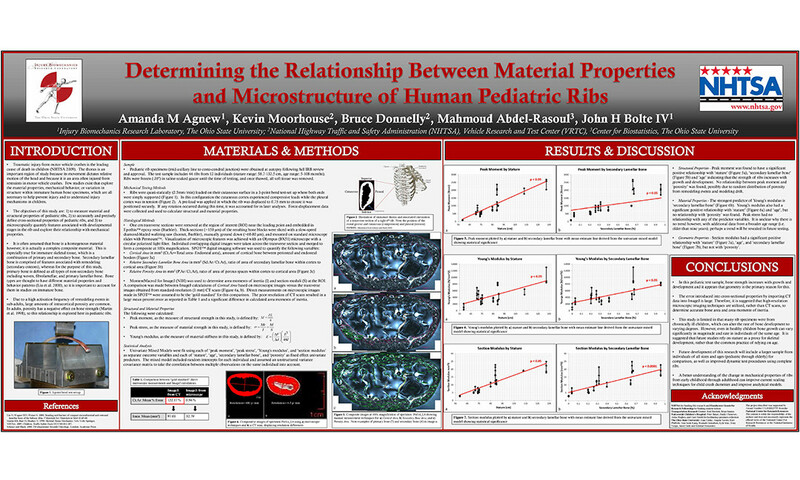 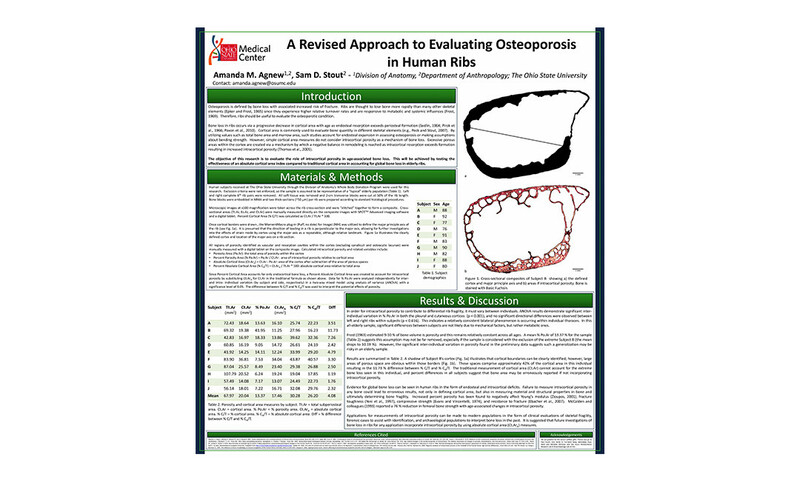 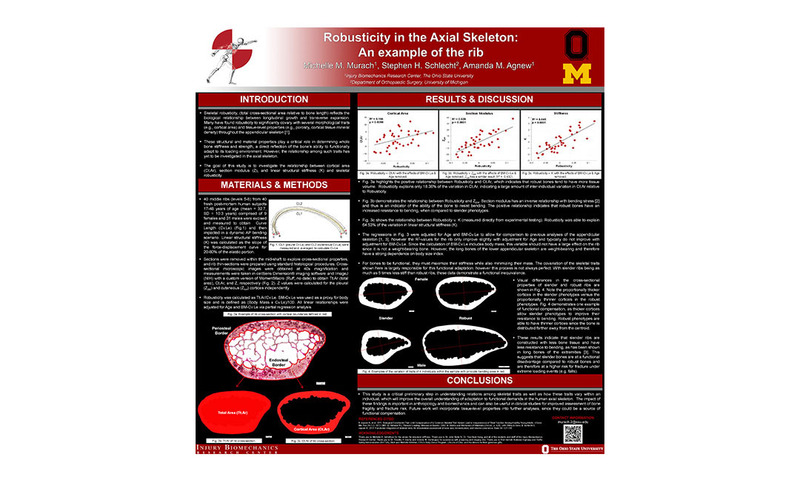 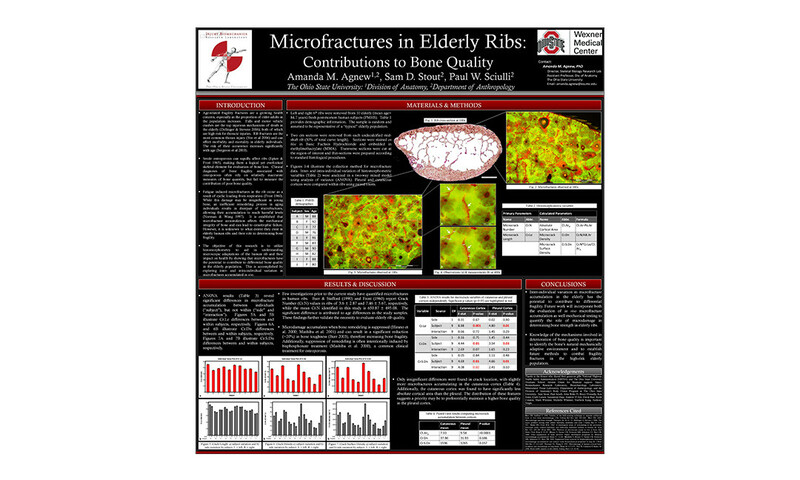 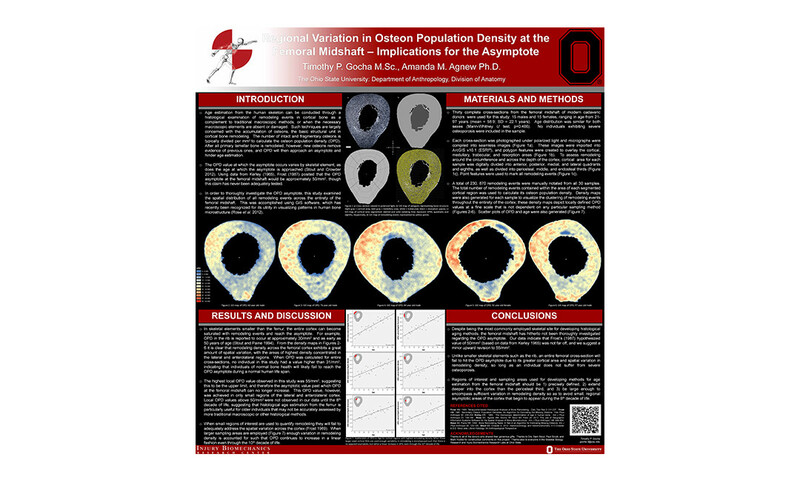 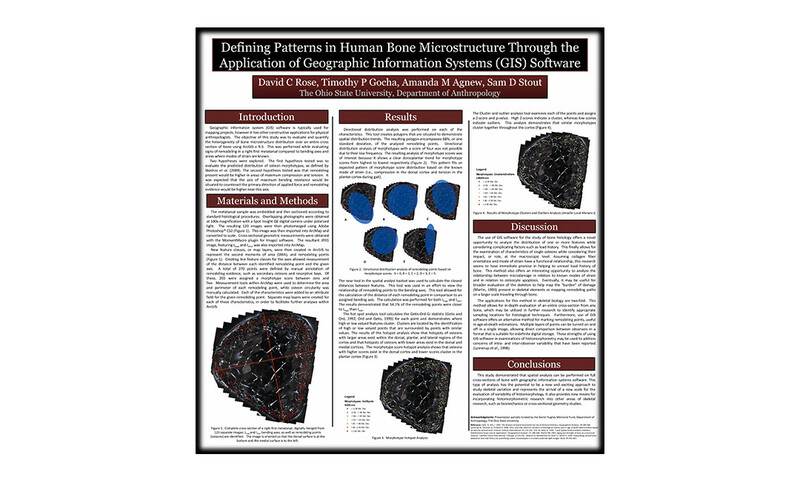 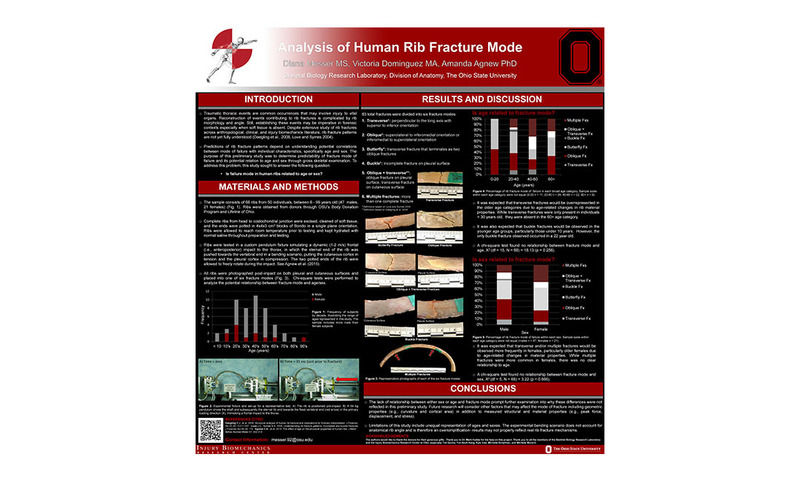 Combining anthropological analyses with engineering principles, the SBRL explores bone biomechanics, fracture risk, and assesses patterns of injury in the context of skeletal health. 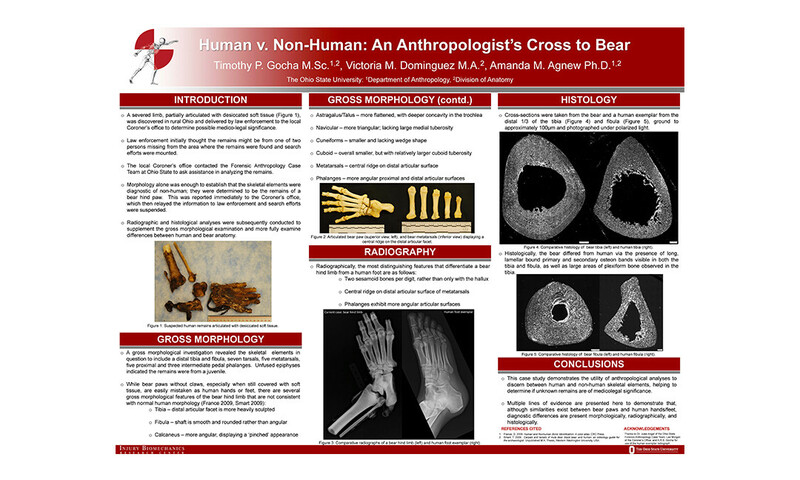 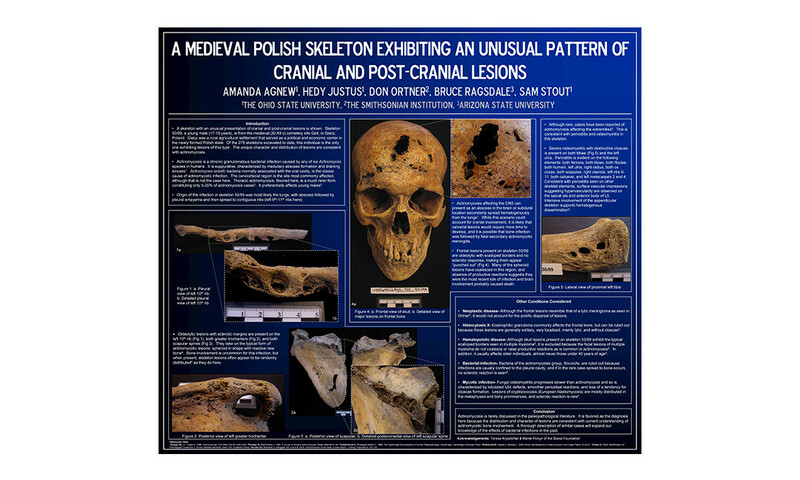 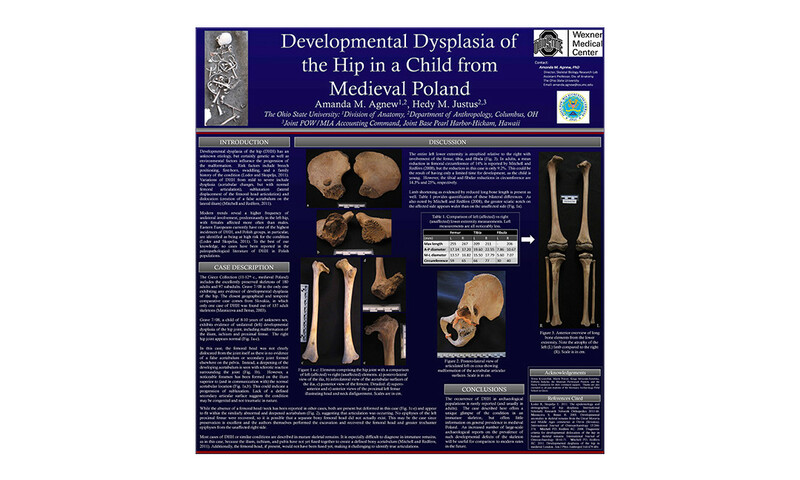 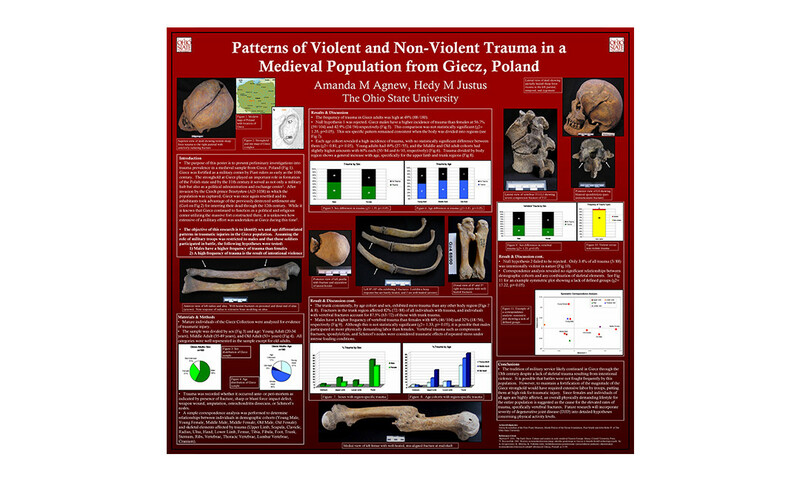 Researchers also explore many topics in forensics and bioarchaeology. 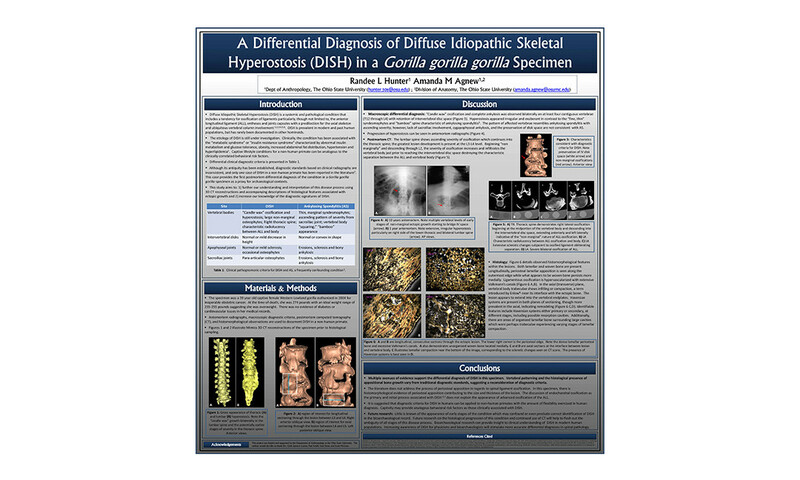 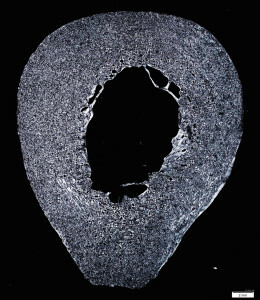 Methods of inquiry include experimental techniques, macroscopic and microscopic (histological) approaches, as well as the use of different imaging modalities. 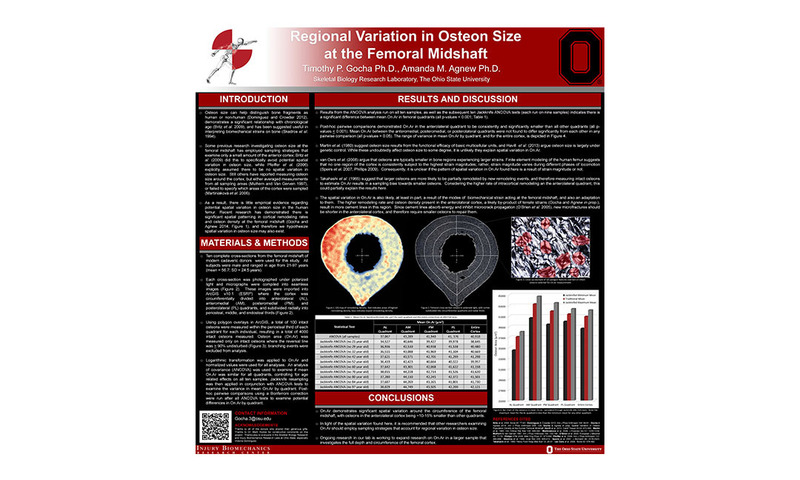 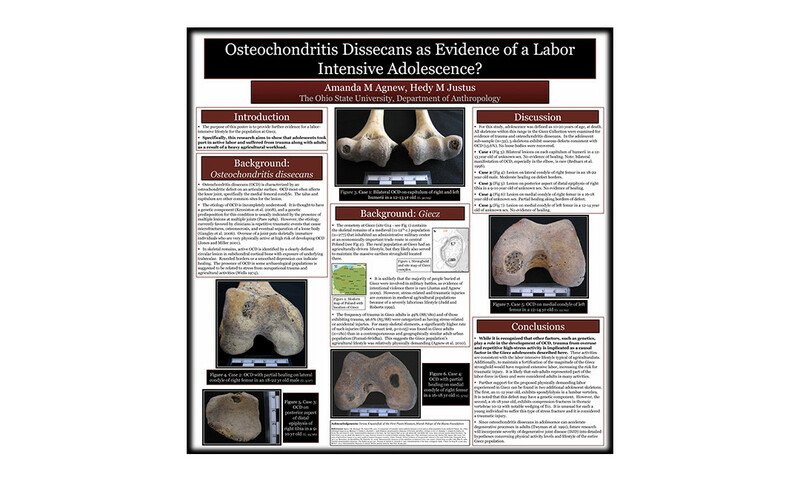 Agnew_Osteochondritis Dissecans as Evidence of a Labor Intensive Adolescence?